I’m becoming a really big fan of the author (and marketing strategist) Donald Miller (@donaldmiller). He’s a self-described introvert who writes about his experiences in an insightful and somewhat spiritual manner. I first read his book Through Painted Deserts: Light, God, and Beauty on the Open Road last fall and really enjoyed his ability to gain enlightened perspective from otherwise mundane, sometimes even aggravating, day-to-day events that you actually expect to happen over the course of a memoir focused on a road trip (Spoiler Alert: the van breaks down. More than once.) As someone who likes to think I’m constantly on the quest for higher meaning in the mundane, I found myself being jealous of these two guys, a lot of miles and a 1971 VW Camping van. You’re not just selling a hammer, you’re telling the story of how to drive a nail. The process of seeing himself as a character invites Don to look at his life differently: to live it instead of daydream about it. As a writer, whose life at one point is described as a “blank page” he notes that sometimes daydreaming is required to play out a storyline or to develop a character, but that often daydreaming topics, such as one’s own success, serve no one. I think it can be the same with content creation and marketing. In an industry where we’re challenged to be constantly creative it can be hard to keep our content authentic and meaningful. In the case where our characters are often products or services we can overlook the actual story of the product or service we’re offering. That’s where we become the storytellers, just like Miller. 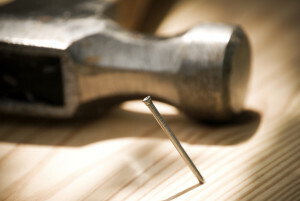 One of my bosses once said you’re not selling hammers you’re selling the ability to drive a nail. There’s a story there. Probably dozens if not more. Telling the story of the nail that holds up your kids’ treehouse, or that secures the fence that keeps your dog from running amok through the neighborhood. The story of the hammer nail connection becomes motivating and compelling for your hammer-buying customers; creates an emotional bond with them. And to all the nail-drivers of the past. 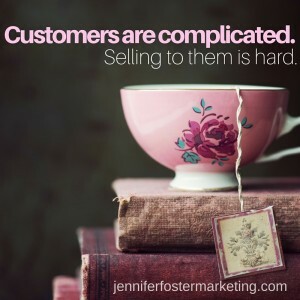 Let’s be honest, it’s hard to sit down and market products day in and day out — creativity is generally exhausting. Miller compares himself to a plumber by saying that he likely isn’t any more excited about writing than the plumber is about fixing a pipe. It’s easy to get excited about the idea, but then it’s time to sit down and do the work. To become the storyteller. What sort of stories have you developed or seen that made a product or service more appealing? Tweet me or post your comments here. I also encourage you to check out Donald Miller’s blog at storylineblog.com. He’s a successful marketer, too, helping brands create their unique marketing messages. According to his site, he’s consulted with brands such as Pantene, Ford/Lincoln, Chick-fil-a, Prime Lending and many more.